Puppetry Arts Institute – Puppet Shows, Museum and Workshops in Independence, MO. There's plenty to do at the Puppetry Arts Institute! Welcome to the Puppetry Arts Institute! 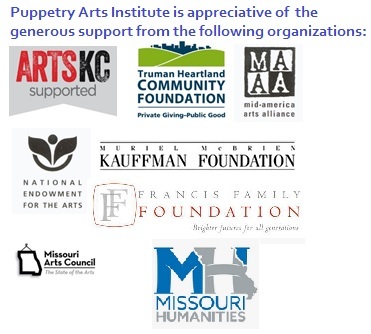 The Puppetry Arts Institute (PAI) is located in a 3,000 square foot, handicapped-accessible building in the Englewood Arts District of Independence, Missouri. This space includes the Hazelle Rollins Puppet Museum. Hazelle Rollins was a local Kansas City, Missouri, businesswoman who owned a nationally recognized and world’s largest puppet factory from 1935-1975. PAI was gifted the remaining inventory of the factory and uses these parts in puppet painting and marionette construction workshops. The Institute includes a research library, puppet performance and workshop areas, in addition to museum space and offices. Our museum displays include an International Room, Hazelle Rollins Room and changing exhibits area featuring a different theme twice a year. PAI has a website, quarterly newsletter, postcard mailing list, Facebook page, Twitter, and is featured in KC Parent, VisitKC, VisitMO, plus the Independence Examiner and Kansas City Star Events Calendar. PAI offers interactive puppet making workshops using parts from the historic Hazelle puppet factory. Workshops are designed to suit the requests of youth, school groups, seniors, daycares and family groups. PAI schedules monthly puppet shows bringing in professional puppeteers both local and from other states to perform, using a variety of styles of puppetry. PAI is a 501(c)3 organization established in 2000 by local puppeteers led by Diane Houk, to share this art form with our community. The Puppetry Arts Institute is a magical place for children, families and even adults to enjoy puppet shows, puppet painting workshops and other special events. 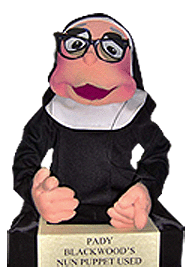 Our mission is to preserve and promote puppetry through education and entertainment for all ages. Can you guess where we got the colorful background art for this website? From the Kids at PAI! Puppet Painting Workshop attendees have a great time painting and learning at PAI. 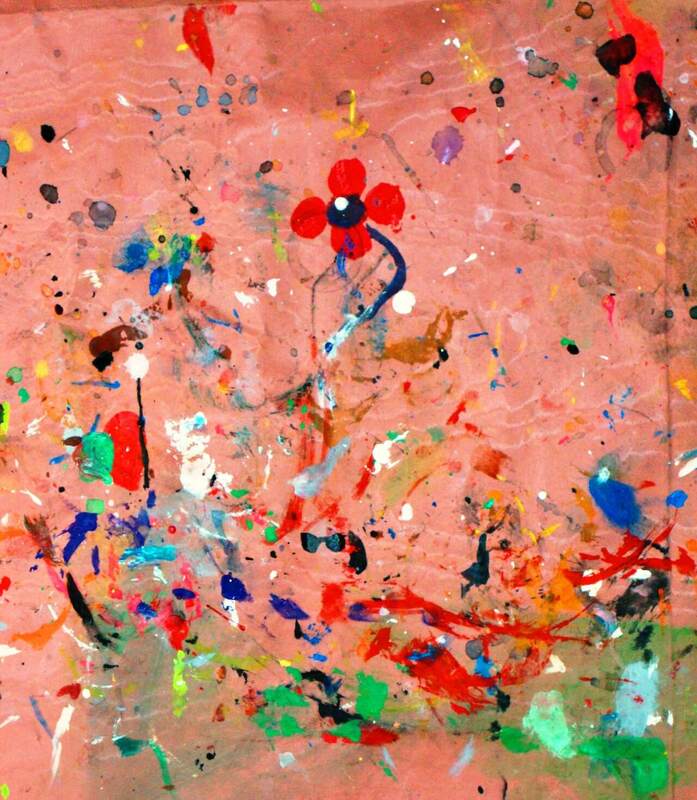 The background image used for this website is one of the many pieces of tablecloth art that was created while the kids painted their puppets.